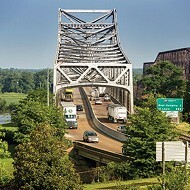 The Tennessee Department of Transportation (TODT) will delay the construction of a new intersection at I-55 and E. H. Crump Boulevard for one year, which also pushes back the controversial move that would have closed the Memphis-Arkansas Bridge for nine months. The new intersection would have replaced the current cloverleaf design. 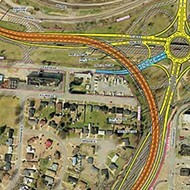 TDOT said the interchange is outdated and poses efficiency and safety concerns. TDOT Commissioner John Schroer called it "the worst interchange we have in the state of Tennessee." 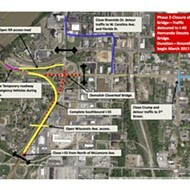 The new design would have featured a roundabout to connect I-55 traffic to downtown Memphis and curved ramps to allow I-55 thru traffic to continue on and off the bridge without slowing down. But closing the bridge faced heavy resistance from those claiming the closure would snarl local traffic, be bad for business, and would pose safety hazards. This was the main motivation to delay the project. 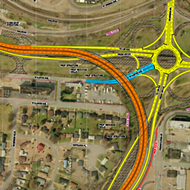 During the one-year delay, TDOT will conduct more-detailed studies of the construction project and its impact on the regional economy and the community that surrounds the interchange. 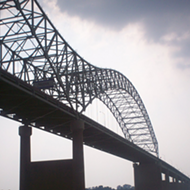 TDOT will study the current plan, with a three-year timeline and a none-month bridge closure, against another plan that would take six years to complete but would only close some lanes on the bridge. We Can't Drive ... I-55!